AutoPromoCenter.com 3.0 Launched! – Find your car lease now! 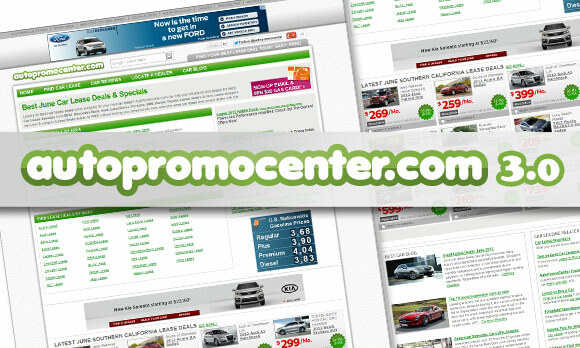 Celebrating 3rd year anniversary of AutoPromoCenter.com. We have expanded our car lease pages to feature more brands such as Jeep lease deals, Chevrolet lease specials, Fiat leases, Chrysler lease deals & more. We also included more national incentives on most popular car models such as Toyota Camry, Ford Fusion, Ford Fiesta & more than ever! The most important part of this expansion are the addition of our “Car Reviews” & ” Dealers Locator” sections. Now you can look for your ideal car lease deal and read about it’s review at the same time. And you can also locate a dealership near your area, how cool is that!